Stephen Creagh Uys was born in Johannesburg, South Africa. His early years were spent in London and Cape Town. It was in London, at a very early age that he first gained appreciation for the English Language. 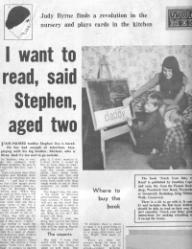 At the height of Apartheid, Stephen and his family emigrated to the United States. He arrived here as a bewildered pre-teen on August 16, 1977, the day Elvis Presley died. Stephen spent the subsequent years doing everything he could to get out of ending up a writer. He attended the prestigious Avon Old Farms Academy in Connecticut, but was summarily expelled, he took a sabbatical for the following year of high school, and drifted around Portugal, where he learned to drink, gamble and surf. He was looking forward to turning sixteen and getting a driver's license when he returned to the states. He reluctantly returned to school and graduated from Scituate High in Massachusetts, hitchhiking to New York City immediately following the ceremony. In New York City he attended the American Academy of Dramatic Arts. Stephen is a terrible actor and after besmirching the boards in various off-off Broadway theaters he ended this unlikely foray with an appearance in the Oscar nominated film "Metropolitan" as cad, Victor Lemley. 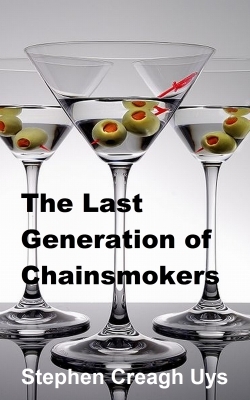 During his time on the Lower East Side he lived the life which became the raw material for his semi-autobiographical novel, The Last Generation of Chainsmokers. When the East Village Art scene imploded on the pyre of Black Monday, hard drugs and over-the-top rents, he sought asylum in Harvard Square, Cambridge. At Harvard University -- He never enrolled but did make liberal use of the computers in the Science Center. -- Stephen began the first draft of The Last Generation of Chainsmokers. After leaving Cambridge, he lived in relative comfort in Martha's Vineyard and eventually Los Angeles. 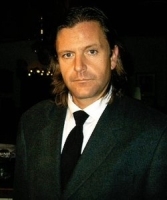 Mr. Uys currently lives in Boston, Massachusetts.